Long ago, Cleopatra was known to take frequent baths in milk as part of her daily beauty regimen. Today, we've taken this notable beauty secret from the past and enhanced it into a modern day bathing miracle. Our luxurious Green Tea Fusion Milk Bath Soaks are made with pure milk powder along with a collection of other fine ingredients for a skin nourishing and calming soak. Just one bath soak will leave you with amazingly silky soft skin. Luxurious Milk Bath soak scented with Green Tea Fusion fragrance. Natural cream color. Benefits: A rejuvenating bath salt that nourishes your skin as you soak, making it softer and smoother. 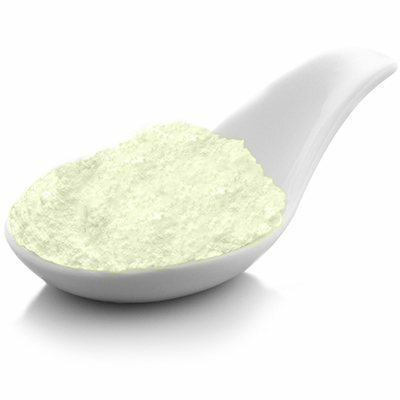 Ingredients: Pacific Sea Salt, Non-Fat Dry Milk, Camellia Sinensis (Green Tea) Extract, Fragrance, Coconut Milk (Dehydrated Coconut Milk, Maltodextrin, Sodium Caseinate (a milk protein)) Powder, Honey (Honey, Fructose, Maltodextrin) Powder, Eleutherococcus senticosus (Ginseng) Powder.